Our Patient Care Team is here to answer your questions. 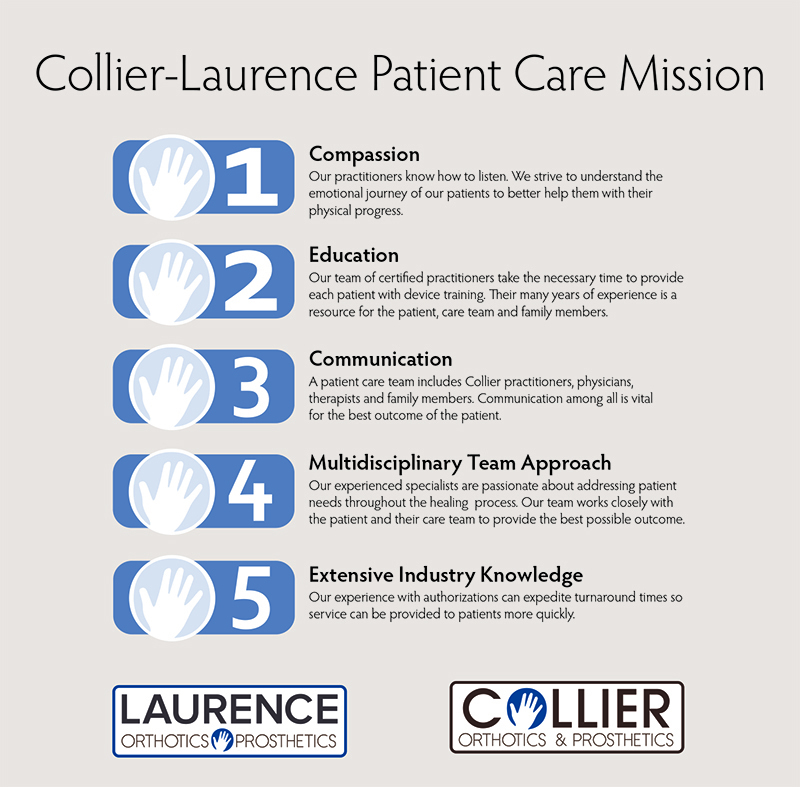 Our goal is to help acutely injured or permanently challenged individuals progress through their rehabilitation to attain the fastest healing and highest quality of life possible. Our patient population encompasses all age groups, from infants to geriatrics; with the goals remaining the same…to help the physically challenged achieve their greatest potential. Your care team spends time listening to your particular needs in order to provide the most appropriate care. 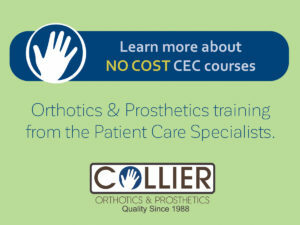 Each patient is unique and they are treated as whole individuals regardless of their limb absence or orthotic need. Just as we take great care to manufacture the highest quality device, we understand that follow-up and continuous care is the key to long term success. Follow-up contact after each fitting gives the patient opportunity for questions, adjustments and reassurance. 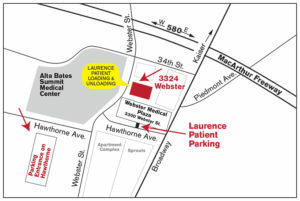 Laurence Orthopedic (now Laurence Orthotics and Prosthetics) is dedicated to helping our patients achieve the best possible outcome during their healing journey. We do this with products and services that help them meet physical challenges and to achieve their greatest potential. Strive to fulfill or surpass established levels of excellence in both the art and science of patient care. Seek a unique quality of professional relationship between staff and patients. Participate in innovative organizational forms of patient care.